New Delhi, Oct 27 (IANS) Congress General Secretary in-charge of Gujarat Ashok Gehlot on Friday said the party gives a lot of importance to the youth and priority will be given to them in ticket distribution for assembly polls in the state. “Youth will get a lot of priority in ticket distribution. They will get more than they expect. “It would be too early to say what will be the percentage of that. 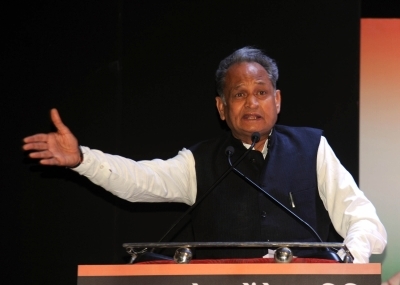 The process has just started and in the coming weeks it will be finalised,” Gehlot told reporters. On Hardik Patel meeting Congress Vice President Rahul Gandhi, Gehlot said: “He has met him earlier and will also meet him in future. What is the big deal in that? He is a youth leader. “Congress gives a lot of importance to the youth. From Indira Gandhi’s time, youth leaders were made chief ministers of states and PCC chiefs,” he added.